Buddha - somebody can read it? Hi, it woulde be very nice if somebody can help me to verify this mark! Comments for Buddha - somebody can read it? 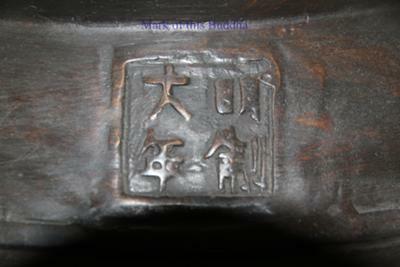 The mark says Made in the Ming dynasty, but it is probably a fake. That is horizontal from left to right.